Super Eagles coach Gernot Rohr has named the same line up that defeated Iceland in their last match. Argentina made some changes with Banega, Di Maria, Higuain and Rojo getting a start while Aguero dropped to the bench. 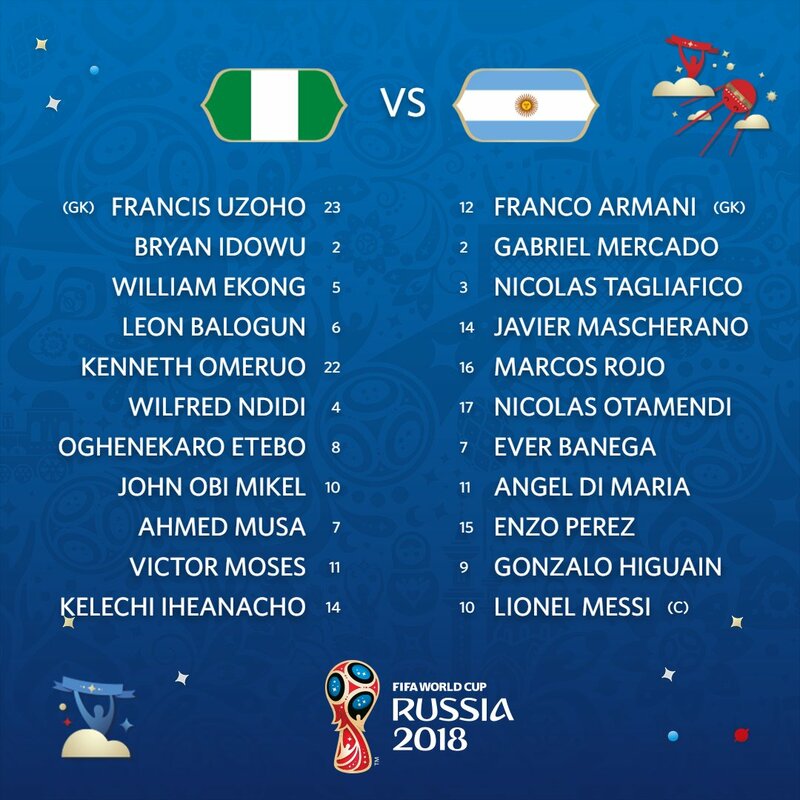 Nigeria XI vs Argentina (3-5-2): Uzoho; William Ekong, Leon Balogun, Kenneth Omeruo; Bryan Idowu, Victor Moses, Wilfred Ndidi, Oghenekaro Etebo, John Obi Mikel; Ahmed Musa, Kelechi Iheanacho. 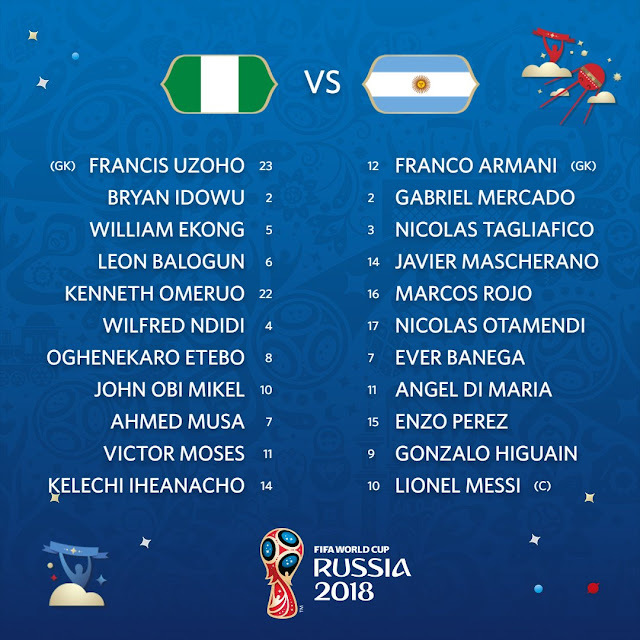 Argentina XI vs Nigeria: Franco Armani, Gabriel Mercado, Nicolas Tagliafico, Javier Mascherano, Marcos Rojo, Nicolas Otamendi, Ever Banega, Angel Di Maria, Enzo Perez, Gonzalo Higuain, Lionel Messi.